United Nations Secretary-General Ban Ki-moon, following consultations with the Chairs of Member States regional groups, informed the General Assembly of his intention to appoint Filippo Grandi of Italy as the new United Nations High Commissioner for Refugees, Office of the United Nations High Commissioner for Refugees (UNHCR). The nomination will be discussed during the next session of the General Assembly and Filippo Grandi will take office on the 1st January 2016. He will succeed to Antonio Gutierrez of Portugal (2005-2015) and he is called to play a delicate role in the most serious migrant and refugee crisis since the end of the Second World War. 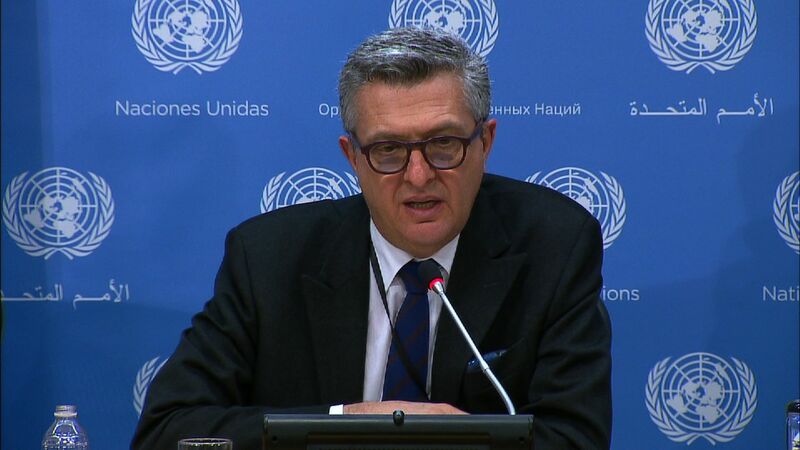 Filippo Grandi was Commissioner-General of the United Nations Relief and Works Agency for Palestine Refugees in the Near East (UNRWA) from 2010 to 2014 and it’s Deputy Commissioner-General from 2005 until 2010. He served as the Secretary-General’s Deputy Special Representative with the United Nations Assistance Mission in Afghanistan (UNAMA) and has a long-standing career with UNHCR, notably as Chief of Mission in Afghanistan and Chief of Staff in the High Commissioner’s Executive Office. His vast UNHCR field experience includes various positions in Sudan, Syria, Turkey and Iraq. He also led emergency operations in Kenya, Benin, Ghana, Liberia, the Great Lakes region of Central Africa, Democratic Republic of Congo and Yemen. For the first time in history, an Italian citizen is appointed as United Nations High Commissioner for Refugees.